Please log in our website to register an Autel ID. 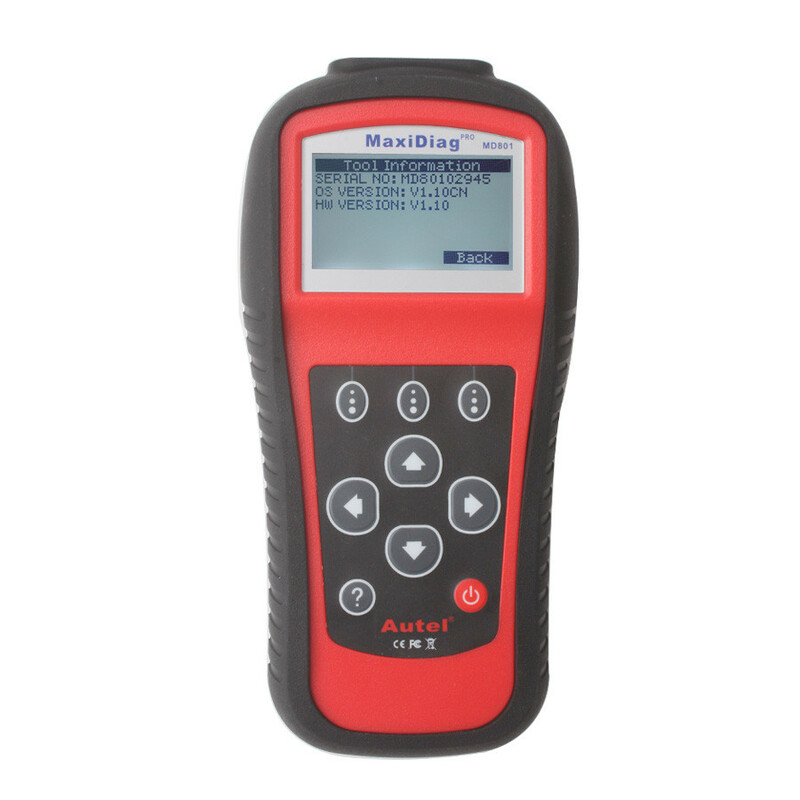 Then log in our website with your Autel ID and password to register your MaxiDAS DS708. When registering DS708 on our website, please make sure that the serial number and register password that you input are correct. On DS708, you can press on Setup/Help->About to double check the serial number and register password. After registering DS708 on the website successfully, please connect DS708 to Internet via Ethernet connection or WiFi, and then choose Update on the main screen of DS708. When the Update screen loads successfully, you can download all the software updates directly on DS708. PS: To ensure high Internet speed, Ethernet connection is recommended. Then please install the PC suite software on a Windows computer that can get Internet access. 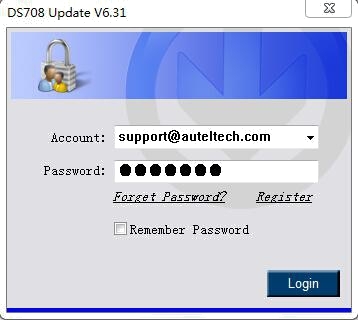 Load the SD card to the computer via a card reader, run the update client software, and then input your Autel ID and password to log in our system. Then wait for the Update window to display. If you forget your password unintentionally, you may always click the [Forget Password?] to link to our website and find your password back. You can use the pull-down menu on the right to select an SD card if two or more SD cards have been connected to the PC. 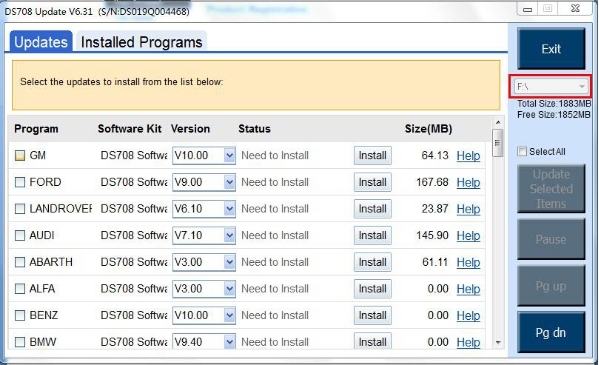 And you can click on the Install buttons to download the software updates.To ensure the good performance of the scan tool, it is recommended to download and install all the software updates.